I never thought I would, but I feel like I’m becoming one of these jersey junkies! I made another jersey dress last week and the whole projects was so rewarding. It was super easy, quick and the fit of the dress is amazing. The fabric was just £1.50 pm. I love jersey!! 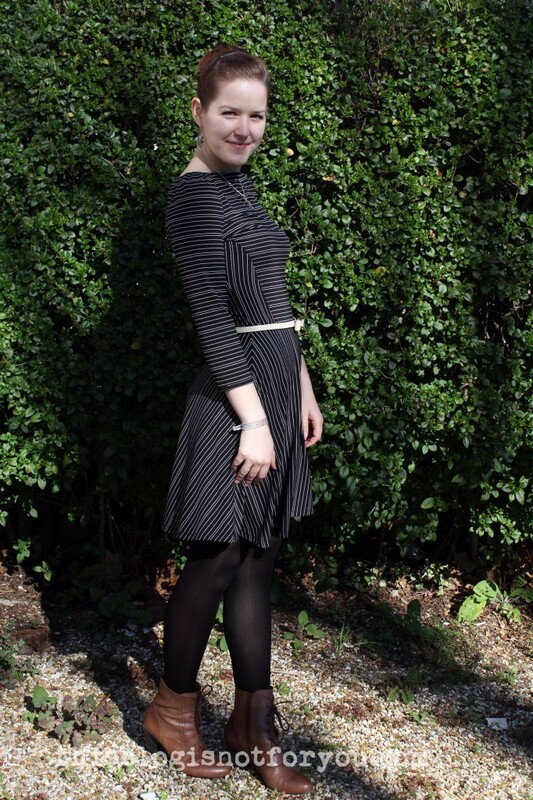 I used the Lady Skater Dress pattern from Kitschy Coo but I altered the pattern quite a bit. I saw the dress on Daniela and Thea and loved the fit. However, I’m not a big fan of tshirts, tee neckbands and cuffs. I love things to be as lady like as it gets, so I swapped the tshirt dress look for a slash neck (with facing), puff sleeves and a simple hem instead of cuffs. 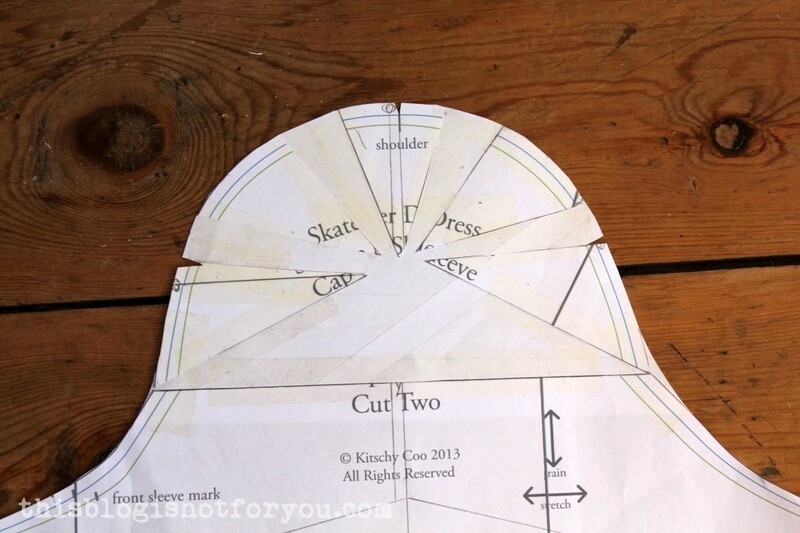 I also cut up the bodice pattern to create the illusion of an hourglass shape (I should do this on every pattern!). 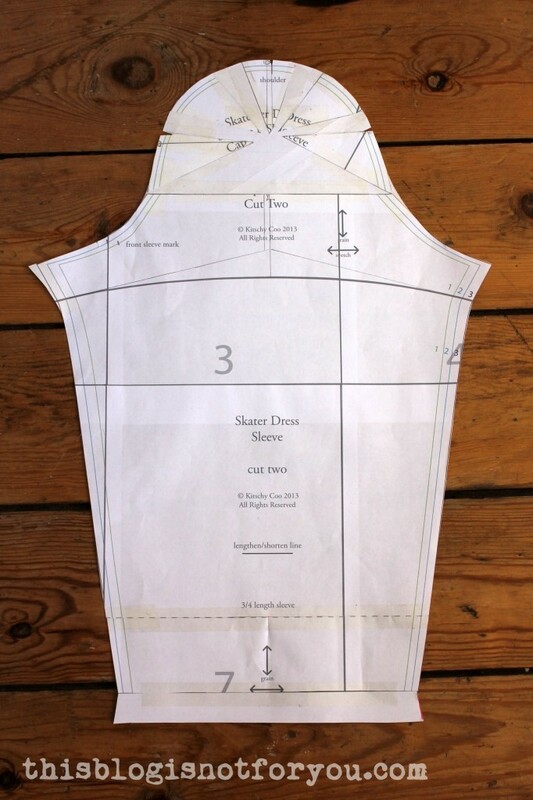 Raising the neckline and adding a side panel. Raising and spreading out the sleeve cap to a puff sleeve. The fit of the Lady Skater is amazing. 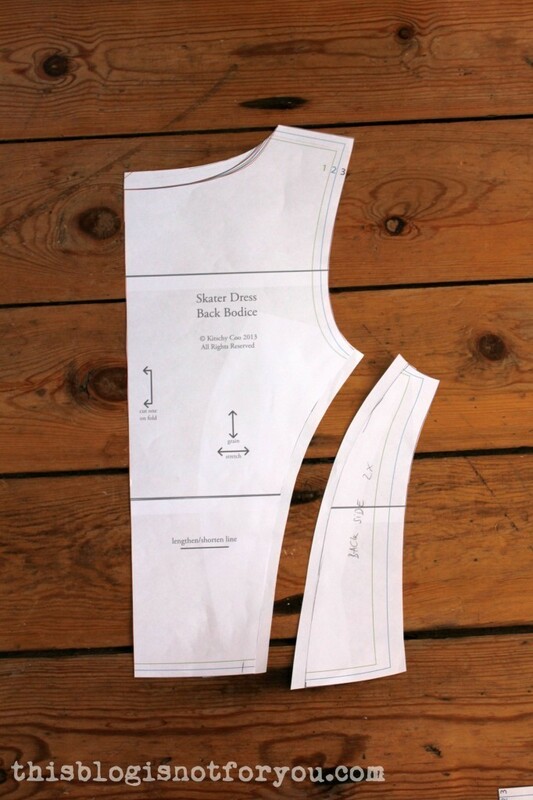 To be on the safe side I made the full bust adjustment suggested in the pattern (I never had to do this before! ), but the armskye looked rather tight on some of the pictures I saw of the dress. Without the FBA the bodice might have been a tiny bit too tight. I’m in love with this dress! 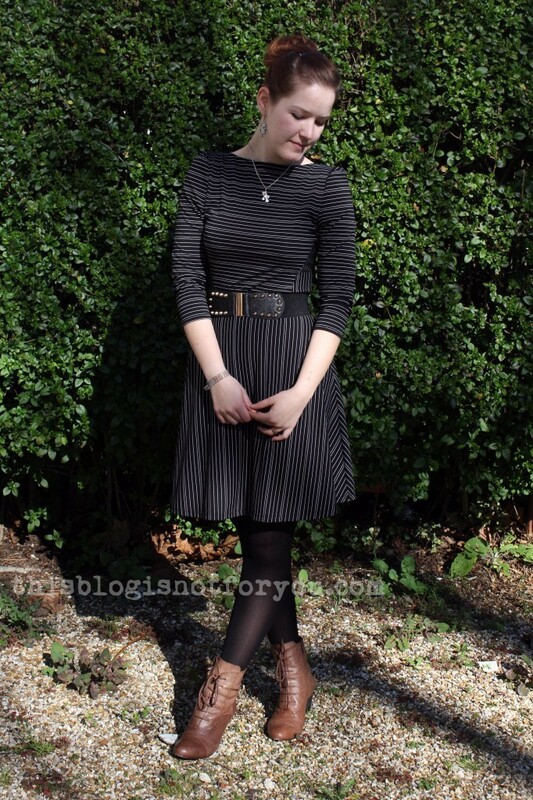 It’s #20 of my 27 Dresses Challenge and I can see me wear it very often!! 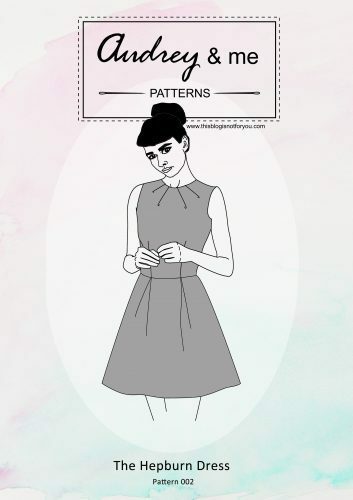 I’m already dreaming of making more ladylike Lady Skater dresses! Wow, the side panels make it a whole different pattern! Love it! 7 more to go!!! 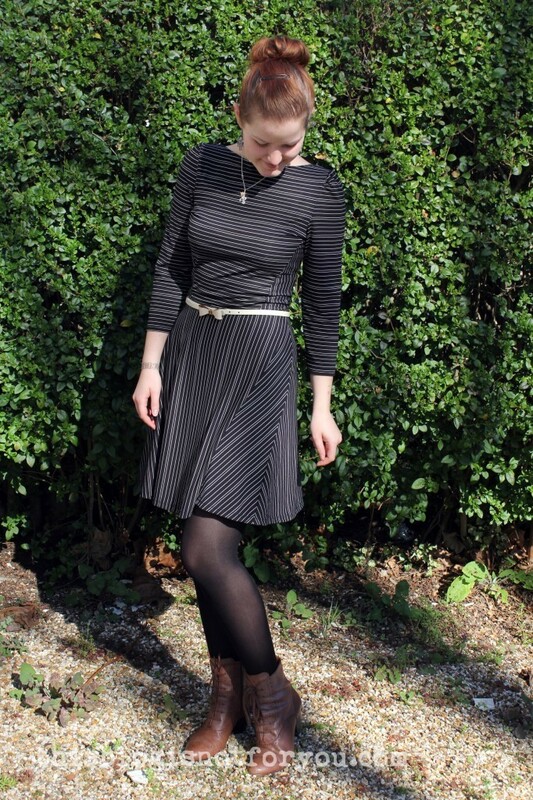 I Love it – the way you’ve altered it and used the stripes is fab! Wow, now that I see the full screen pictures I love it even more! 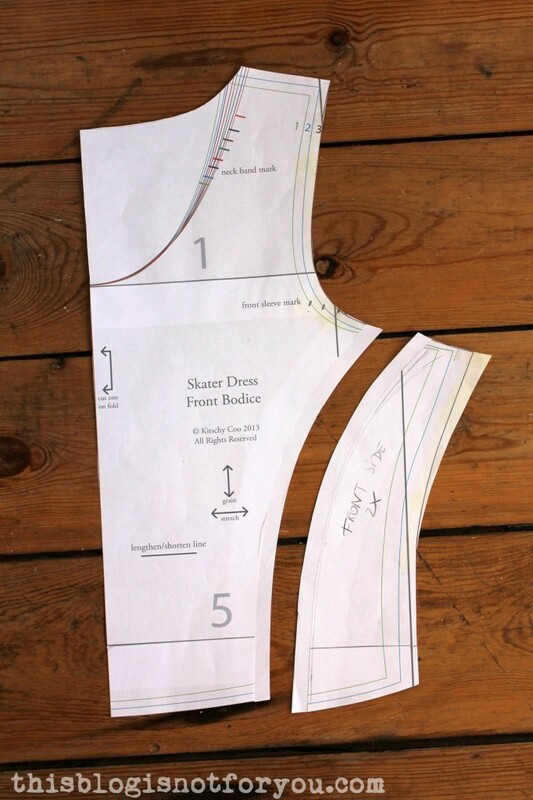 I might even copying your version when I make my next Ladyskater! 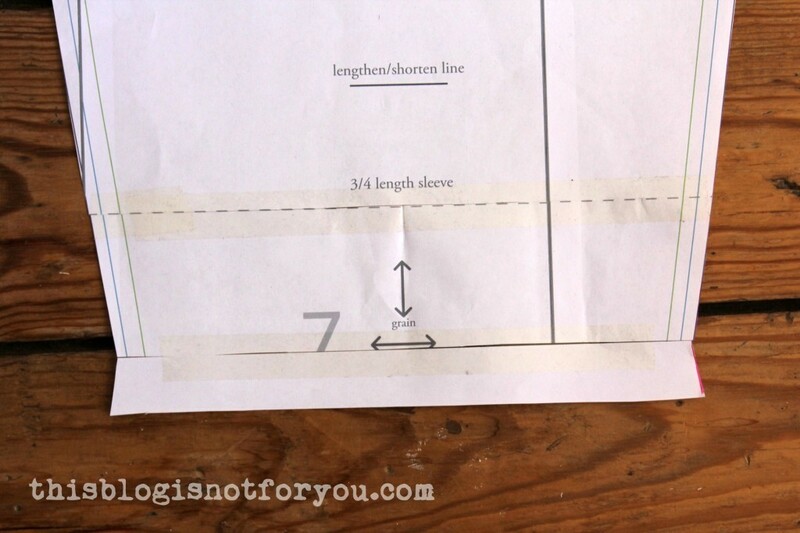 I really love the alterations you made to the pattern…they make such a fantastic difference! The dress looks gorgeous on you! I thought the same about the Lady Skater, but I loved the fit so much when I saw it on the other ladies. I used a very cheap, light-weight jersey and so far I had no problems with static. Especially when you use a heavier jersey you should be fine! 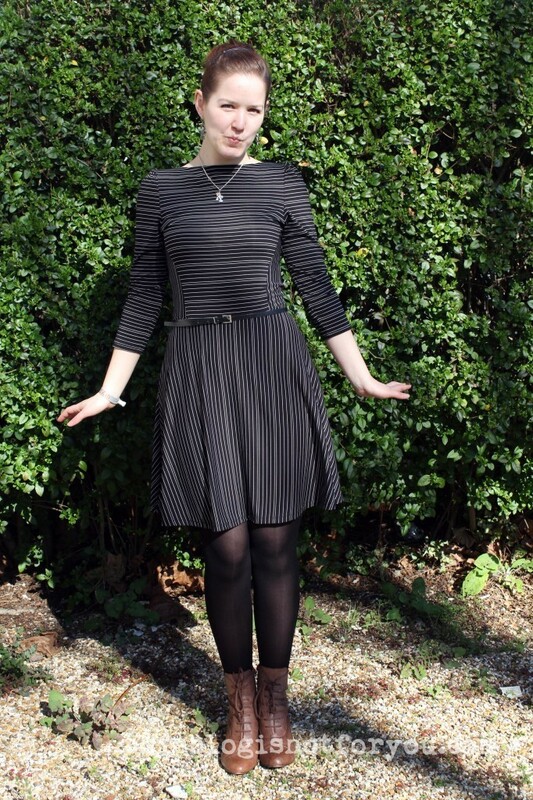 Does it make a difference if you swap the nylons for cotton tights? This is so fab! 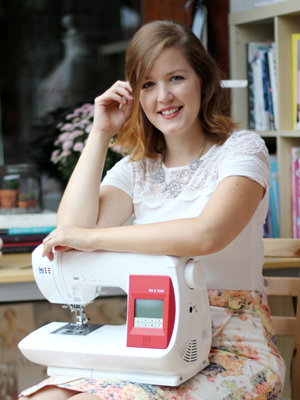 I love your alterations – I have a autumnal floral jersey that I’m super excited to cut into, and I’m definitely basing it on yours. That high neck especially, yum! If you don’t mind me asking, what’s the difference between your high bust and low? Because I’ve never had to do a FBA in my life (much more likely an SBA) but our figures look pretty similar on top (though I’m packing more jiggle below, haha). It looks superb. 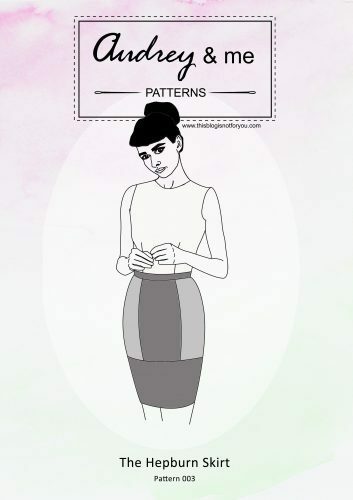 Can you give some advice on how you lined up the stripes on the arms with the bodice? 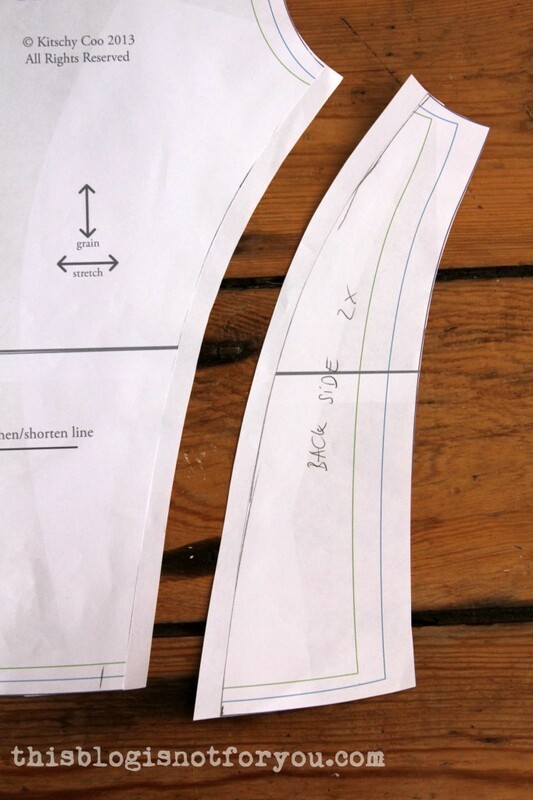 I have no idea where to even try for when cutting – even without worrying about the seam allowance.